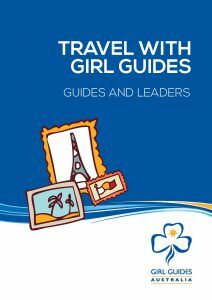 Please download and read ‘Travel With Girl Guides – Guides and Leaders V3F‘ for a comprehensive guide to travelling with Girl Guides. To register for an international event click on the GirlGuide Traveller button below. How do I apply for an International Event? What is Girl Guide Traveller? GirlGuide Traveller is a secure online platform which supports the Girl Guide Australia (GGA) International Department to manage contingents and individuals travelling overseas. How do I submit my online application? When you have completed the information in all the tabs, click “submit”. You will then receive an email advising you of the next steps in your application. Help! I can't save my online application. Can I update my medical history at any time on GirlGuide Traveller? Yes, just login to your account and make and save changes. You should also check that your membership expiree date, contact and emergency contact information are up-to-date. I’ve forgotten my username/password. What can I do? Click on “Forgotten my password” on the log in page of GirlGuide Traveller and both username and password will be sent to the email address you originally registered with. Is overseas travel with Girl Guides expensive? GGA wants to make overseas opportunities accessible to everyone. It works to keep travel costs as affordable and reasonable as possible. It offers overseas opportunities with varying costs depending on the event and the destination. Travelling with Girl Guides is a very cost effective and safe way to travel and personal funds can always be supplemented with fundraising. What costs can I expect to pay as part of a contingent travelling overseas? GGA calculates fees on a cost recovery basis. This means fees applied cover the costs incurred by GGA to provide goods and services to contingents such as insurance, administration and support costs. Is it reasonable to fundraise to an event overseas? Absolutely yes! Going to an international event is a great opportunity to build or develop financial literacy skills. You can ask for assistance from your Unit/District/Region. They might help in a number of ways including offering practical assistance with your fundraisers. Girl Guides Australia and some States also have special funds to assist members. For more information on how to apply for funds contact your State International Manager. How do I pay for an international event? Log into your account on GirlGuide Traveller and go to the ‘Payments’ page. Credit card payments (Visa and Mastercard) are accepted on this secure website. Do I need outdoor camping experience to attend an International Camp? Yes camping experience is a requirement. However, if you are lacking sufficient experience, there is likely to be enough time before you travel for to gain more experience by attending camps locally. Do applicants require an interview? Interviews are required for all camps and WAGGGS seminars. There is only one interview for any one event and this is conducted in your State or in the case of seminars and conferences at a national level. Interviews are not required for World Centre program events however if you are applying to volunteer at a World Centre, the Centre will arrange an interview with you. Do I need to be wearing my uniform or badge to be covered by Girl Guide travel insurance? Travel insurance covers you while you are away and is not dependent on you being in uniform or wearing a badge. Can members of a contingent travel privately before or after an event? Adults that are part of a contingent may undertake private travel dependent on the required adult:youth ratio for the trip being met. If I want to travel privately before or after an event, does GGA insurance cover me? GGA insurance will cover your travel up to 180 days including the Guide event. Can I attend more than one international event in the same trip? Sometimes it is possible for adults to attend more than one event in the same trip. Youth contingents only attend one event during their time away. What do I wear when travelling to and from Australia? It is expected that when departing from and arriving in Australia that Guide uniform be worn. Travellers may change into more comfortable clothing on the plane and then change back into the agreed uniform before landing. A contingent agrees on what uniform participants will wear and when. When can I wear the international scarf? The Australian international scarf may only be worn while overseas. Who can wear Australian cloth badges on their uniform? Only youth members wear cloth badges. An Australian flag cloth badge should be worn on the hem of the left sleeve of either shirt option. The Australian flag cloth badge remains in place on return to Australia. What metal badges can be worn on the uniform on return to Australia? Only the Wattle Badge can be worn with uniform on return to Australia. When do I get my international participation certificate? Participation certificates are presented on completion of an on line evaluation following the event. Details about completing the evaluation are emailed to participants on their return. How do I apply to volunteer at a World Centre? At what age can I volunteer at a World Centre? The minimum age is 18. Check out the World Centre webpages https://wagggs.org to find out more about volunteering. I’d like to take members of my unit overseas. What do I need to do? There are two ways to do this. You can all apply to attend a GGA advertised event (which may or may not include pre or post event travel) OR you can design your own itinerary. If you choose the second option, you must seek the approval of your State Board. Step 1 is to contact your State International Manager to discuss your proposal and for information on procedures you will need to follow. Why are 11-13 year olds allowed to travel to New Zealand but not usually to other countries? New Zealand is considered a good option for younger travellers, who may be going overseas for the first time, for a few of reasons. It is culturally and linguistically similar to Australia; for the majority of our members its close proximity means shorter travel times and it is also more cost effective than other destinations.